ORLANDO, Fla. – April 14, 2015 – FlightScope®, a world leader in the development and manufacturing of 3D Doppler tracking radars and launch monitors for golf and other sports, today announces the availability of its Xi Tour model. The Xi Tour is the most lightweight, portable, accurate and affordable 3D Doppler tracking radar available today. This new addition to FlightScope’s suite of launch monitors now includes the cutting-edge technology and data parameters only previously available in professional models. All 27 data parameters are displayed while training with the Xi Tour, giving users unmatched detailed analysis of their ball flight and swing. Some of the advanced analytics now available with the new model include club path, face to path, face to target, dynamic loft, vertical decent angle, vertical swing plane, horizontal swing plane, apex height, and flight time. All of the data recorded by the Xi Tour can be viewed real time on FlightScope’s VX2 or FlightScope Skills apps, and then uploaded to My FlightScope.com. This is the first model in the Xi series that is compatible with the VX2 app, which allows players to review video of their swing for instant analysis. Players can also integrate the device with the wireless BodiTrak pressure mat for further analysis. 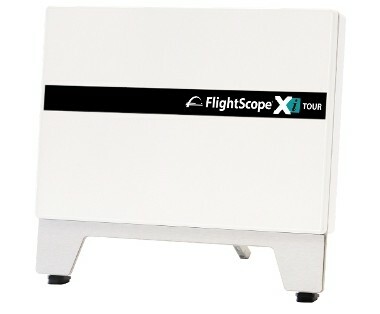 To find out more about FlightScope or the new Xi Tour visit, www.FlightScope.com.